Deborah is a primary school teacher who works as a conversational assistant at Mare de Déu del Carme (Bellpuig) this year. She’s here to gain experience in teaching and also to learn some Spanish. She writes about her experience in Spain and in the school, and about the cultural differences she’s been dealing with, specially those regarding eating habits! She also gives some tips about how to teach English to little children in a Primary School, and gives us a list of topics that she has covered with her students, which can be very useful for other Primary Schools that have a Conversational assistant this year. ¡Hola! 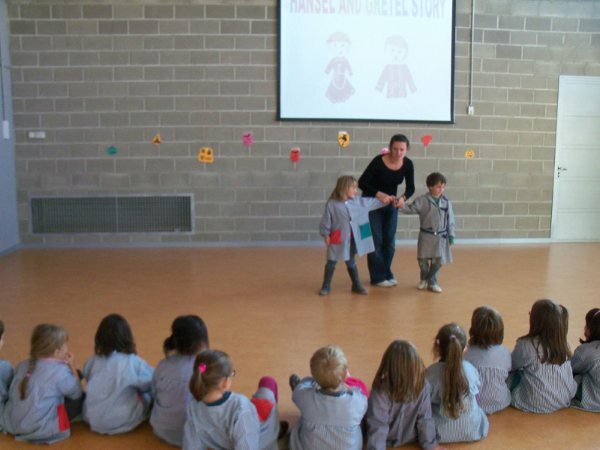 I’m Deborah; I’m a primary school teacher, working as a conversation assistant at Mare de Déu del Carme Primary School in Bellpuig in Catalonia. I arrived in Spain on the 26th of September, and was greeted by my host family at the airport. They were very friendly and welcoming, but I did find communicating at first difficult, as they had little English and I spoke no Spanish. They integrated me into their family life; as though I was part of the family, and made sure I had everything I needed. As part of my time here in Spain, I have had to learn Spanish on the computer, I have tasks to complete and an exercise book to work through. I have found that learning to speak Spanish is very important in assisting in the problems with communication. For although there are teachers at school who speak English who I can speak to if I have a problem, I have found that a lot of the parents in the families I’m staying with have little to no English. Due to working with the school for the totality of the school year, I am staying with numerous families. This can be quite unsettling, having to re-adjust to different families each month but it does allow you to meet lots of people and have a more varied experience. The eating times here are different to in England; they eat at numerous times of the day and late in the evening. They tend to have four meals a day, plus snacks, and the meals are large portions. Instead of only eating the whole meal off one plate, they are inclined to eat two plates, for example a plate of vegetables first, followed by a second plate of fish or meat. I am vegetarian and have found eating here very difficult but everyone has been very accommodating, trying to find food that I can eat. At the school I work with all the children from the babies and toddlers in P1&2, right through to the older children in class 6. However, a larger proportion of my time is focused on working with the older children, as it’s my job to help them improve their pronunciation and to extend their use of English vocabulary. I assist the children with their English through a variety of means: reading stories, games, songs, reciting, dictation and playing together. 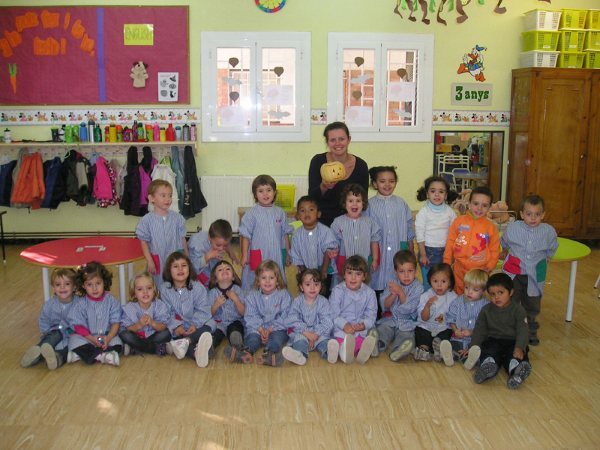 I work in classes across the curriculum, so the children and I get a broader experience during my time here in Spain. We have read popular stories in English and enjoyed learning new words related to the stories. I have found my experience in Spain challenging but rewarding, everyone is very friendly and I’m glad I had the courage to take this opportunity. It is great experience for the future.